Lily and Christian marry, but their troubles are far from over. Someone is out to get them. 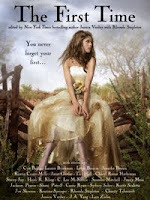 Datura continues the story of Lily from the first book of this series. It can't be Ian, but Maia has disappeared and Lily believes she might be behind the threats. However no one believes her. 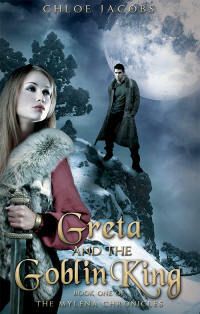 Lily and Christian are like many newlywed couples, but Christian also has to cope with being newly made as a vampire. Vampires in this series live useful lives and only feed off the criminal types of the world. Taking an innocent is frowned on. Their honeymoon turns to chaos when they are attacked by vampire hunters in league with vampires. A shape changer is also involved and Lily finds it difficult to comprehend what exactly is going on. Once again the book starts at a steady, if not slow, pace but gradually picks up speed and intensity which kept me reading. There are many turns and twists to the story which had me guessing what would happen next. The end surprised me but I won't say how as that would be a spoiler. One thing that confused me was the title. When I first saw it I thought this book had a new heroine, but soon realized this wasn't the case. I spent most of the book wondering when Datura would be introduced. Was it a person? Was it a thing? I felt disappointment when it appeared once only, at approximately three quarters of the way through the book. Brilliant title, but needs to be linked with the book earlier in the story and more often. On the whole this book is a definite "yes" for lovers of vampire tales. It has that fresh look at an old subject with romance shown more by inference than act, which gives it much more impact. The end of the book indicates there are more in this series and I'll definitely be on the lookout for them.